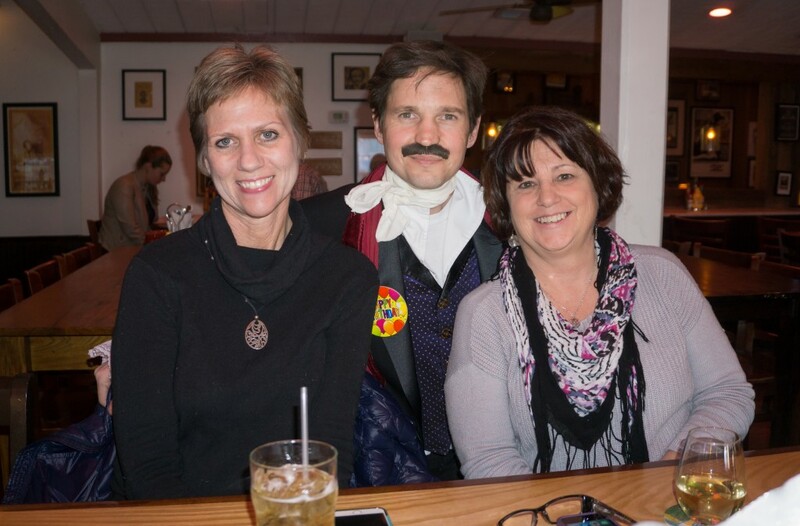 Lisa Vogt and Beth Behegan celebrate Edgar Allan Poe’s birthday with the guest of honor himself. 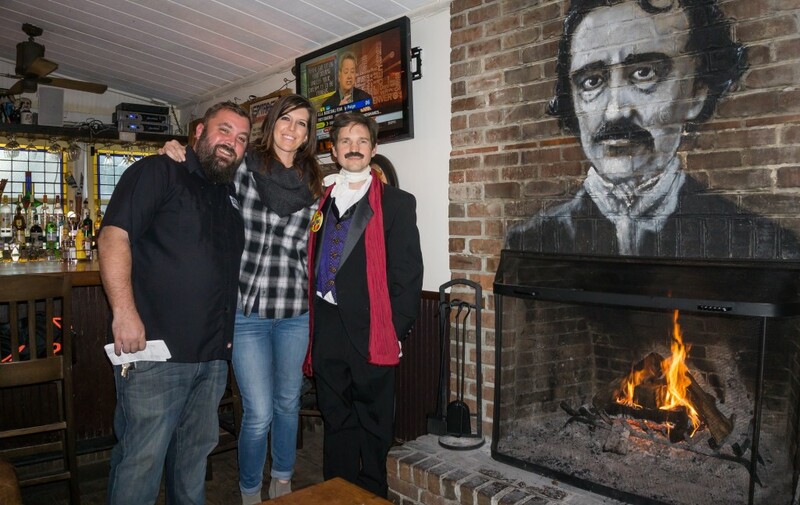 Poe’s Tavern on Middle Street threw a party for the poet on Jan. 19. Eric Schwartz and Schanen Smith hang with the birthday boy.